This diagram represents a deliberate over-simplification of the industry blueprint for the sake of understanding. Not all five layers are required in all markets; many markets can provide for robust self-regulatory frameworks for food and non-alcoholic beverage marketing communications by ensuring the existence of just one or three layers. Nor should this diagram imply any need to adopt layers chronologically. Indeed, in most markets where this model is being adopted, different layers are being reinforced simultaneously and at different speeds. Set clear fundamental rules for all operators to abide by: e.g. rules to prevent any form of surreptitious or misleading advertising. Recognise the role of self-regulatory systems in implementing the objectives of the law, allow for sufficient scope for such systems to operate effectively, and encourage operators to implement specific provisions of the law through codes of practice sensitive to prevailing community standards. ‘Proportionality’ means that regulation must “achieve the stated public policy objectives without imposing unnecessary or disproportionate regulatory burdens”. Any measures taken to address public health issues (nutrition, obesity, healthy lifestyles, etc.) must take into account the multi-factorial nature of the problem, while bearing in mind the relatively small influence of food and beverage advertising. RAC members believe that proportionate public policy measures must include a regulatory framework that provides for fundamental rules against unfair and misleading advertising practices. National Self-Regulatory Organisations (SROs) monitor, police and enforce codes of conduct in over 100 countries worldwide. Effective self-regulation is ensured by the SRO providing a participative and robust framework in which codes can be monitored and enforced in a transparent and accountable way. Properly monitored and enforced, these ethical standards provide fast, free and flexible redress for consumers. These systems complement, rather than substitute, the existing regulatory framework and provide an additional layer of consumer protection. Without self-regulation, the only recourse for consumer complaints would be via the courts. 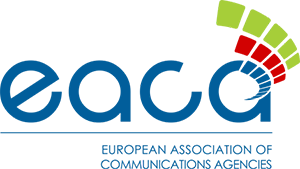 The European Advertising Standards Alliance (EASA) has set out a best practice model of advertising self-regulation. Endorsed by the European Commission, it is currently being implemented across Europe. It also provides a reference for self-regulatory systems worldwide. RAC members comply with the international marketing communications standards set by the International Chamber of Commerce (ICC) in its Code of Marketing and Advertising Practice, which are implemented, enforced and monitored at national level. Recognising the need to ensure particular care in relation to food and beverage communications, RAC members drove the adoption of the ICC Framework for Responsible Food and Beverage Marketing Communications, which sets minimum standards for marketers operating in all markets worldwide and across all forms of marketing communications, including the internet. The ICC Framework is applicable globally but is a minimum standard designed to be adapted and transposed into SR codes at national level. Many countries have implemented SR provisions that use the ICC Framework as a basis, but go further in several respects, depending on local considerations. Typically, national self-regulatory codes of conduct are developed in greater detail at national level to reflect national and cultural concerns and sensitivities adequately. This is particularly true of food marketing communications since food is an area which is intrinsically shaped by local culture and tradition. Many countries have developed detailed code provisions relating specifically to food marketing communications to children. The codes address the nature of advertising, that is to say “how” you advertise. They do not address the “balance” of advertising, i.e. the types of products advertised. In light of the debate about diet and health, industry recognises that both the “nature and balance” of food advertising must align with changing societal sensitivities. As such, individual companies and, indeed, entire sectors are already adapting their marketing communications precisely so as to change the balance of food advertising to children. Furthermore, they have committed to undertaking such ‘self-regulatory initiatives’ by monitoring them in transparent and participative ways in order to engender trust in their commitments. A number of the biggest multi-national companies have adopted food marketing communications policies to children that are already global in nature. Many more major food and beverage manufacturers are moving towards adopting global marketing communications policies which will address the nature and balance of food and beverage marketing communications to children in all markets worldwide, as well as putting in place mechanisms in order to monitor the implementation of these commitments. These same companies are driving the roll-out of initiatives at national and regional level designed to extend best practice to the wider industry. These so-called “pledge programmes” create frameworks in which companies can adapt their marketing communications policies in order to support parents in their efforts to promote healthy lifestyles to their children. to only advertise products to under 12 years which fulfill specific nutrition criteria based on accepted scientific evidence and/or applicable national and international dietary guidelines. For the purpose of this initiative, “advertising to children under 12 years” means advertising to media audiences with a minimum of 50% of children under 12 years on TV, Print and Internet. Furthermore, pledge signatories are committed to monitoring their commitments in a transparent, accountable and participative way in order to demonstrate that the are fulfilling their commitments. Most academic reviews recognise that by the age of 12 children develop their behaviour as consumers, effectively recognise advertising and are able to adopt critical attitudes towards it. There is a strong degree of academic consensus that by the age of 12, children are fully capable of understanding the persuasive intent of advertising and have the necessary cognitive tools to critically assess it. There is insufficient evidence to suggest there is an influence of food advertising on purchase requests of children over 12 years. The combination of robust but proportionate national legal frameworks, structures for effective marketing self-regulation, stringent codes of conduct and company initiatives (including in-built monitoring) can ensure that food and beverage marketing communications are carried out responsibly and do not undermine balanced diets and healthy lifestyles.